One day, wayyyy back in July, having just survived a stressful couple of months, I decided it was time to treat myself to something special. 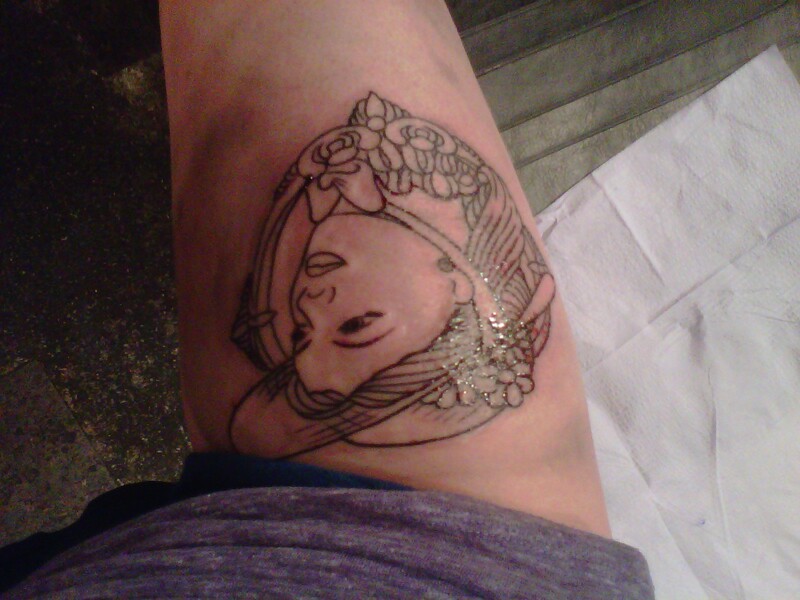 So, with a pocketful of birthday money, I took myself over to the local tattoo shop for some fun! 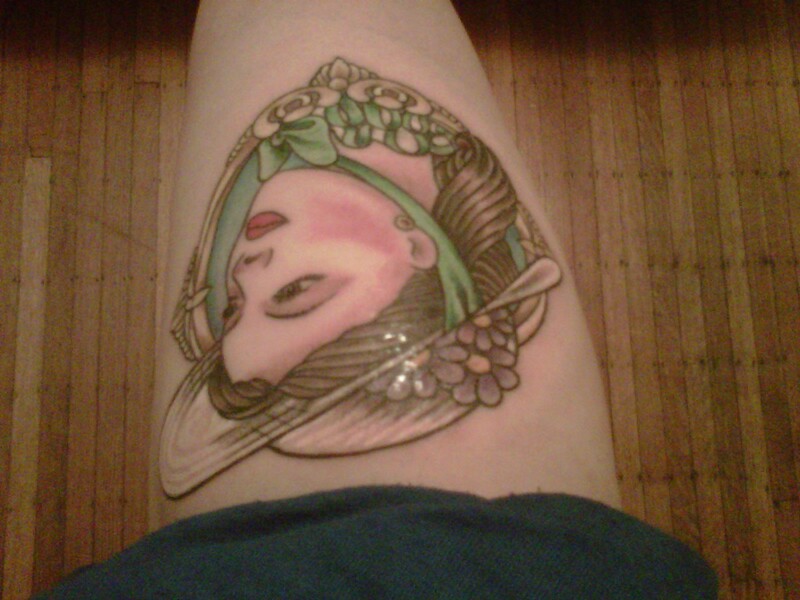 After two-ish hours of needles, blood, and the incessant buzz of the tattoo gun, she was complete! 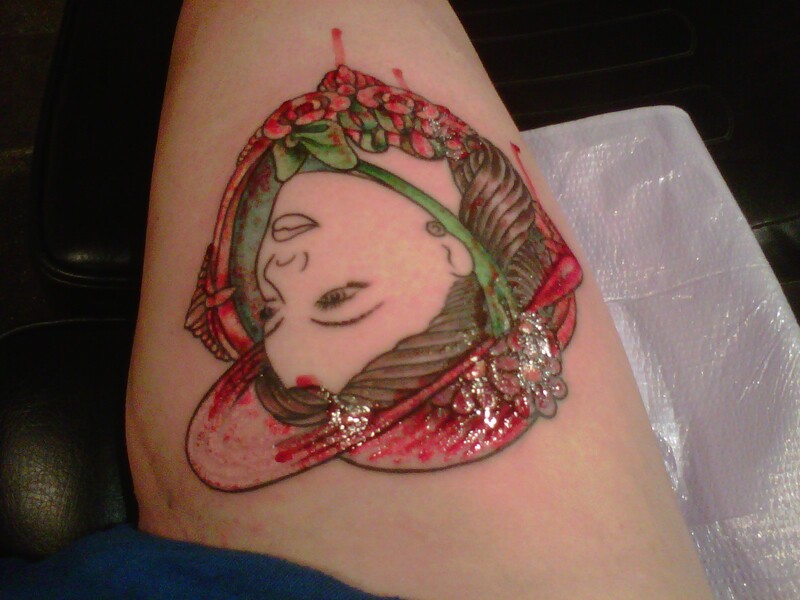 I present to you: Scarlett O’Hara, courtesy of my right thigh. Scarlett, in all her glory! Maybe one day, I’ll have a right-side-up picture to show you!